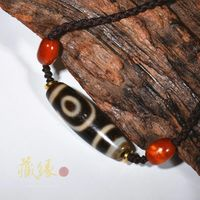 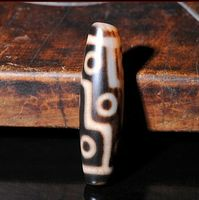 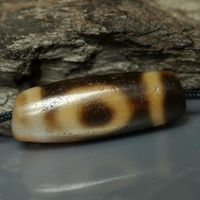 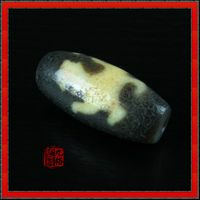 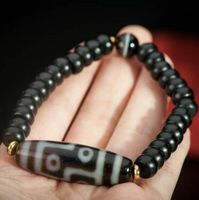 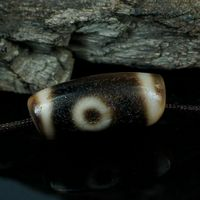 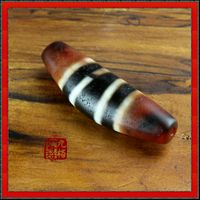 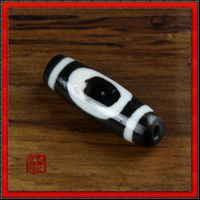 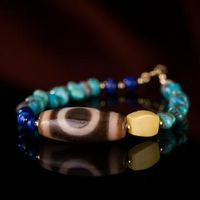 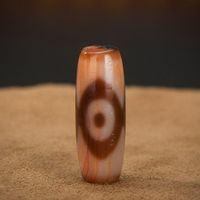 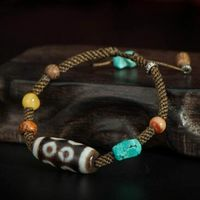 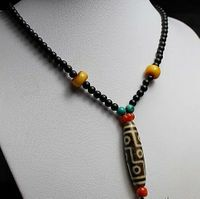 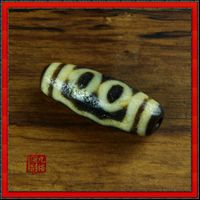 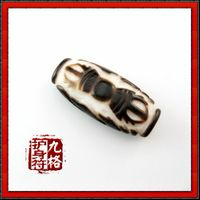 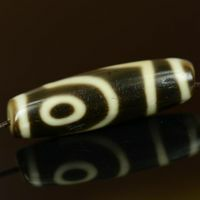 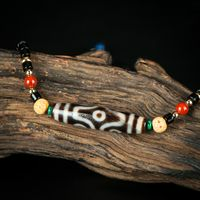 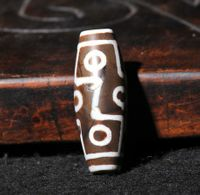 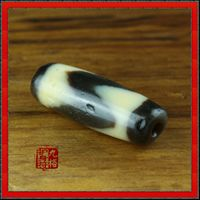 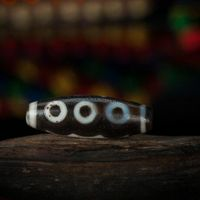 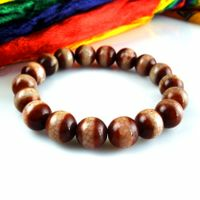 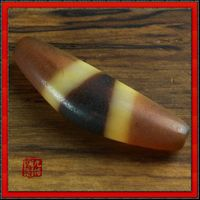 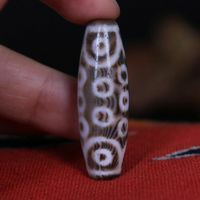 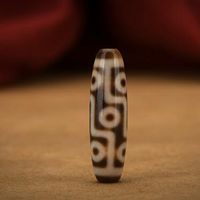 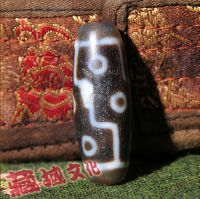 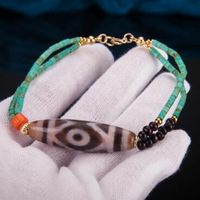 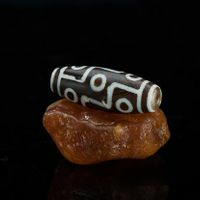 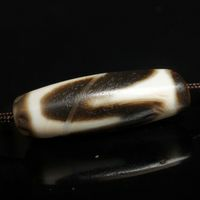 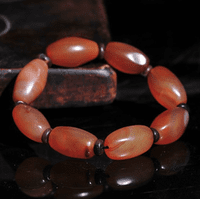 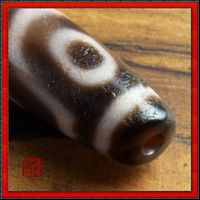 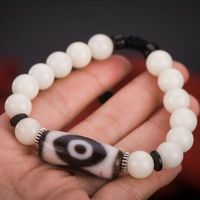 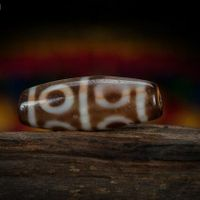 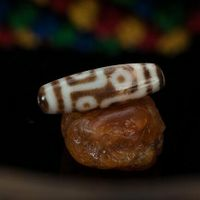 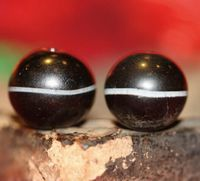 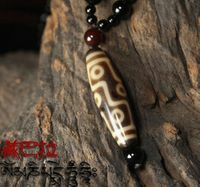 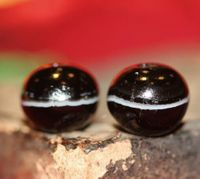 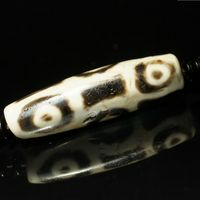 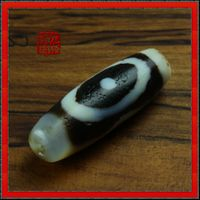 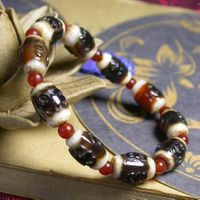 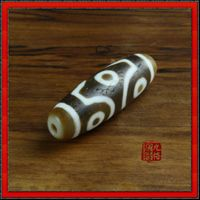 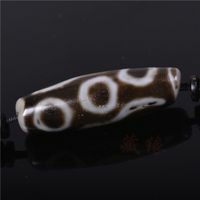 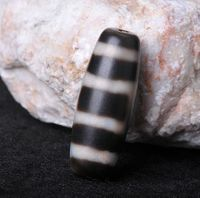 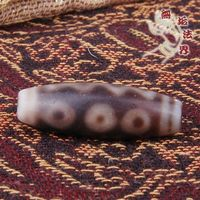 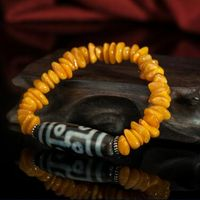 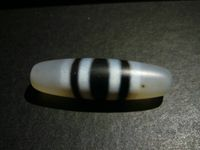 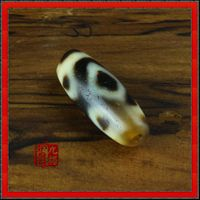 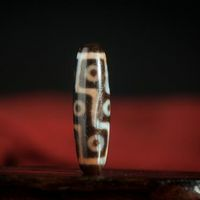 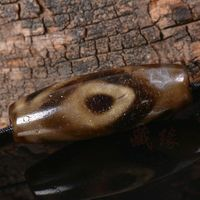 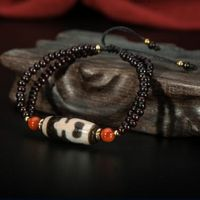 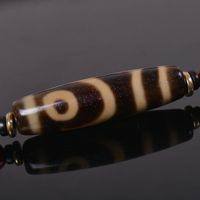 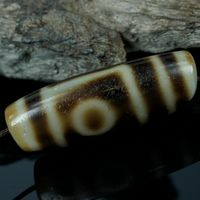 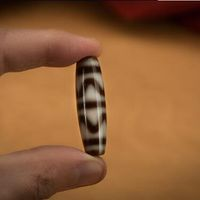 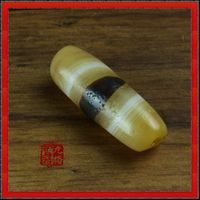 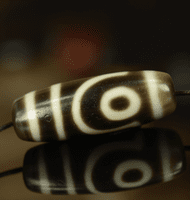 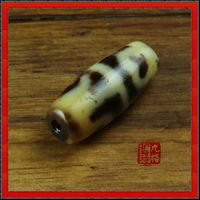 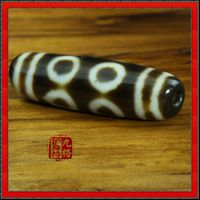 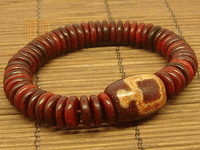 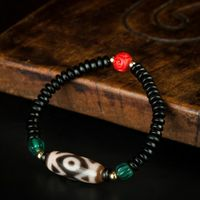 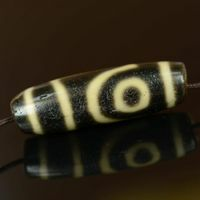 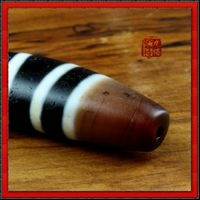 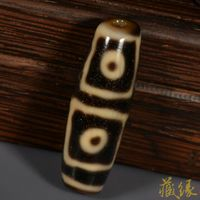 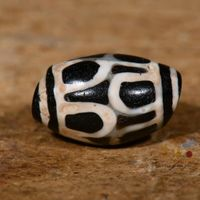 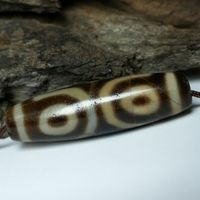 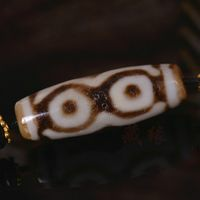 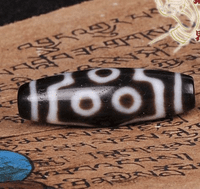 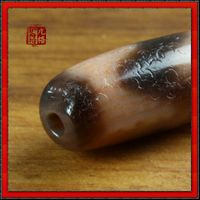 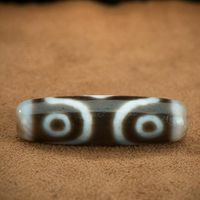 Dzi bead (pronounced Zee) is a bead stone of mysterious origin worn with a necklace and sometimes bracelet. 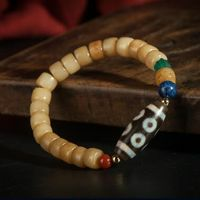 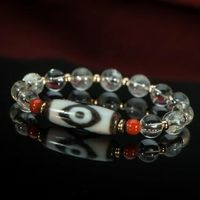 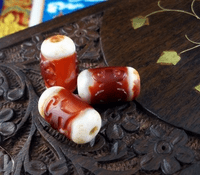 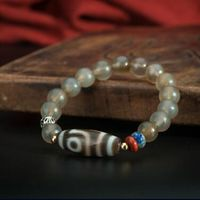 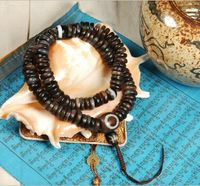 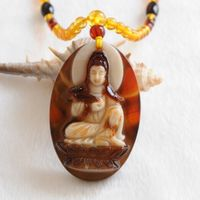 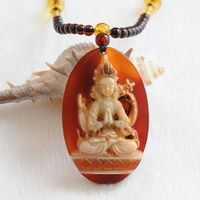 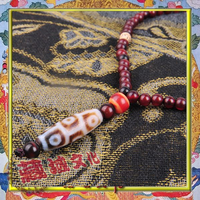 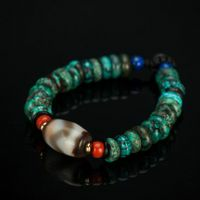 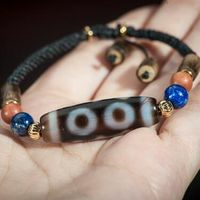 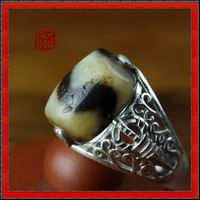 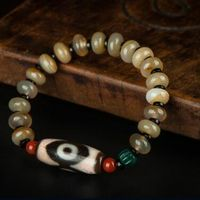 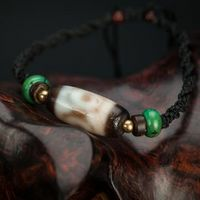 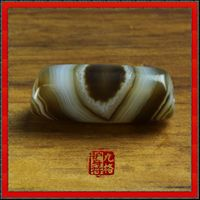 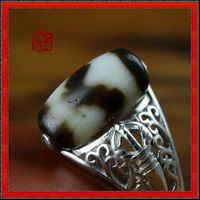 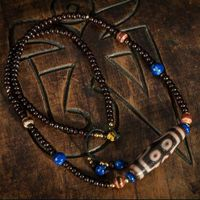 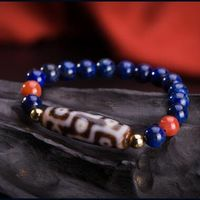 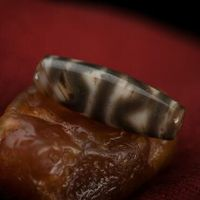 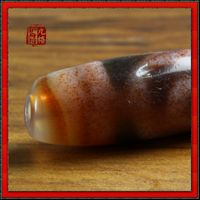 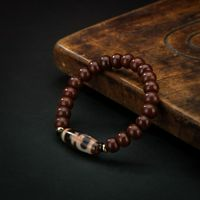 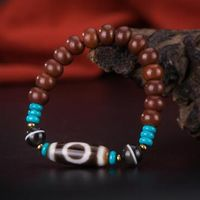 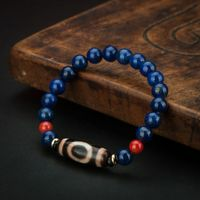 Collectively in almost all Asian cultures, the bead is expected to provide positive spiritual benefit. 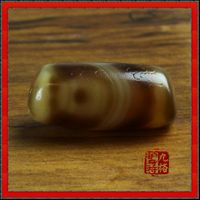 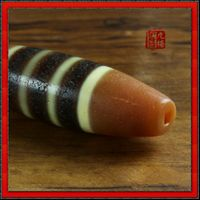 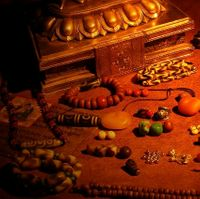 They are generally prized as protective amulets and sometimes used in traditional Tibetan medicine. 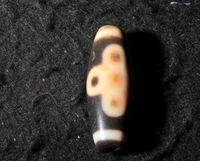 Beads subject to this will have small "dig marks" where a portion of the bead has been scraped or shaved away to be ground into the medicine. 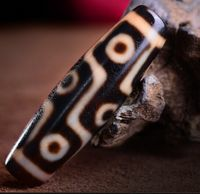 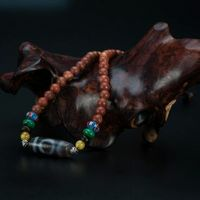 Beads that are broken are believed to have diluted benefit because they have taken the brunt of the force that would have otherwise impacted the wearer.